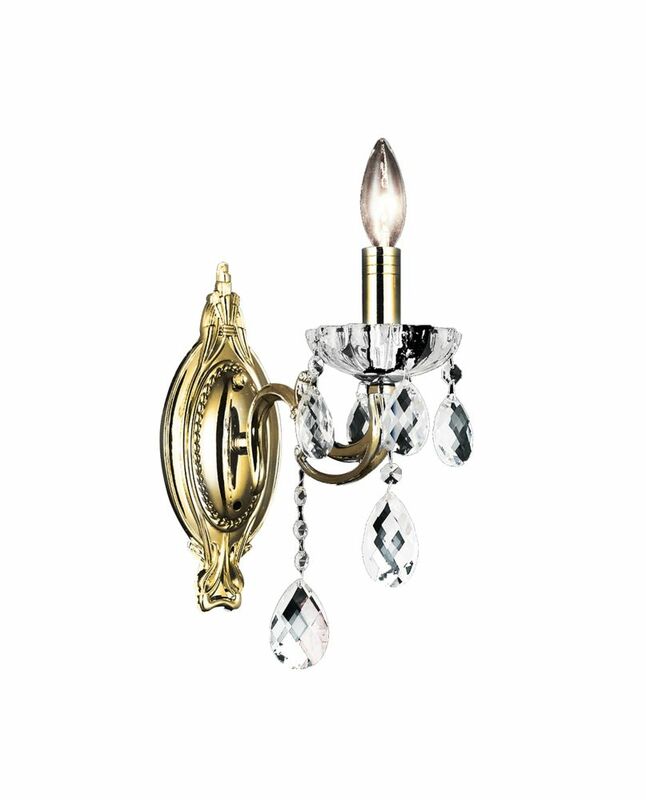 This breathtaking 1 Light Wall Sconce with Antique Brass Finish is a beautiful piece from our Flawless Collection. With its sophisticated beauty and stunning details, it is sure to add the perfect touch to your dicor. Versatile bath bar can be mounted up or down to match style. Traditional bath fixture style uses standard medium base bulbs or can be used with adapter for energy saving bulbs. Suitable for damp locations. Perfect for bath, kitchen, and service porch areas. Satin finish fabric shades for a luminescent shine. Decorative ring hook at wall plate adds nostalgic nautical theme. Candlestick with bobeche sconce arms make this fixture a colonial favourite. Introducing the Venetian Collection. Handmade blown glass, intricate crystal patterns and droplets, silk fabric cord cover and plated metal framework. This wall sconce will be a great addition to any room in the home or office. Fashioned after vintage inspired lighting Globe Electric's edgy 2-in-1 Verdun 1-Light Plug-In or Hardwire Industrial Cage Wall Sconce adds a rustic industrial feel to any space. This adjustable wall sconce can pointed up or down, allowing you to customize lighting ambiance and mood. Ideal for use in kitchens, restaurants, bars, and dining rooms - the exposed bulb delivers the perfect unique look. Check out Globe Electric's vintage Edison light bulbs for designer antique bulbs to give that extra warm touch. Includes all mounting hardware for quick and easy installation and requires one 60W medium base bulb (sold separately). Flawless 10-inch 1 Light Wall Sconce with Antique Brass Finish This breathtaking 1 Light Wall Sconce with Antique Brass Finish is a beautiful piece from our Flawless Collection. With its sophisticated beauty and stunning details, it is sure to add the perfect touch to your dicor.